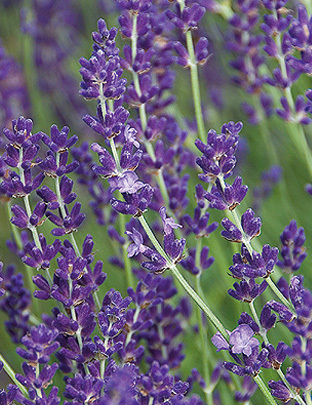 These very popular tough little lavenders are the most reliable and effective for the border or for hedging. 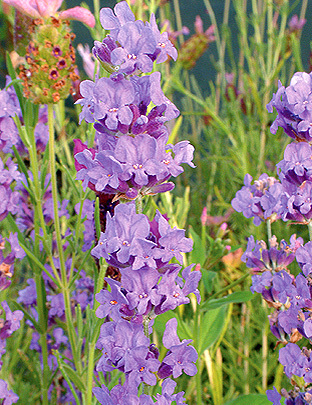 Their sweet scent and colour are evocative of the warm, lazy days of summer. Hardy to at least -15°C, they will cope with anything the British weather throws at them. 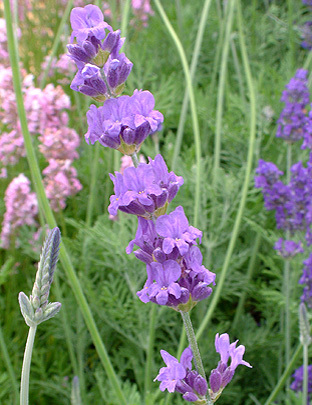 Typically angustifolia or True Lavender has a compact habit and is narrow-leaved, to which the epithet angustifolia refers. The foliage is green-grey or grey-green and forms about half the height of the bush. 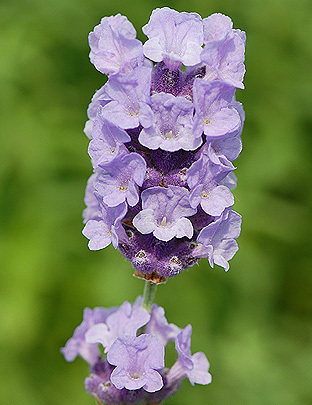 It has short flower stalks and short cylindrical flowerheads. 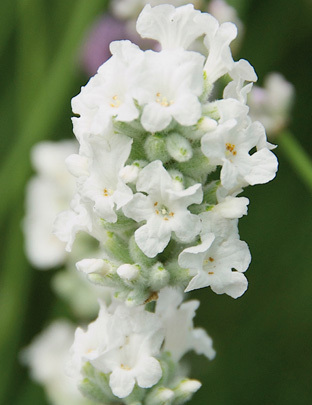 The flowers appear in June and July and have a rich sweet scent. In our olfactory experience the paler forms tend to have the stronger scent. This is the most popular species grown in England for oil extraction, yielding high quality, low camphor oils used in expensive perfumes and aromatherapy. These cultivars, particularly those that are richly coloured, are excellent for culinary use. 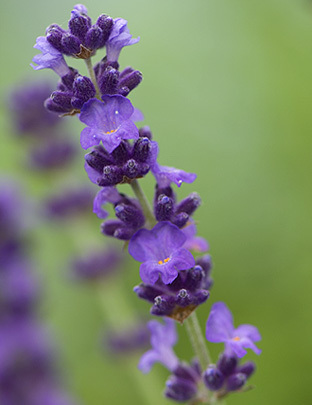 The delicateness of their soft, sweet scent is a perfect accompaniment to flavour and infuse desserts and salads. They’re also great for colouring pot-pourri and for bunching (drying on the stalk). 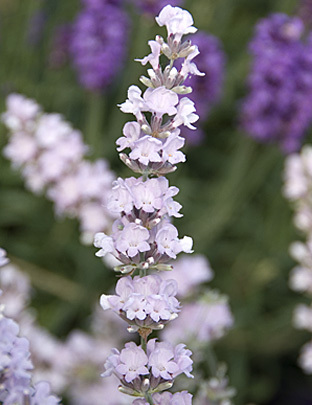 A real marshmallow of a lavender with beautiful furry calyces and mellow purple, mildly scented flowers. Next available late June. 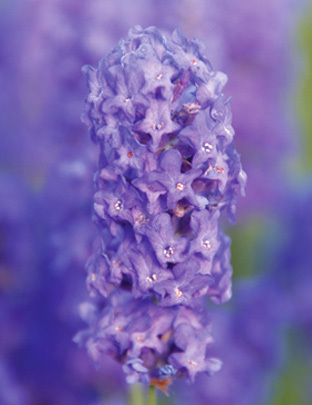 An intensely dark purple lavender known as a ‘Super Blue’, with a beautiful swaying and fluid movement in a light breeze. Next available early June. 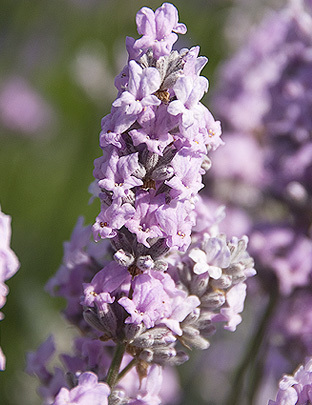 The darkest pink hardy lavender available, with star-shaped markings on the flowers when they first open. The flowers are quite fragrant. Grey-green foliage. Next available late May. 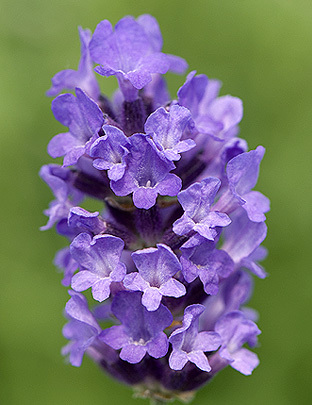 A really compact little plant with faintly scented mid-purple flowers. Grey-green foliage. Next available late June. 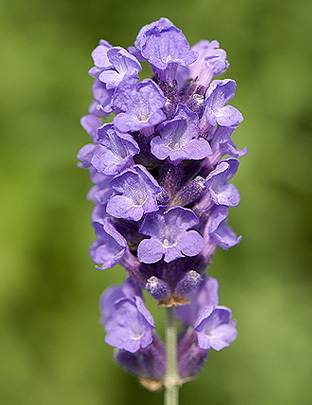 An early dark purple flowered cultivar with a liquid, flowing movement in a summer breeze. Next available late May. 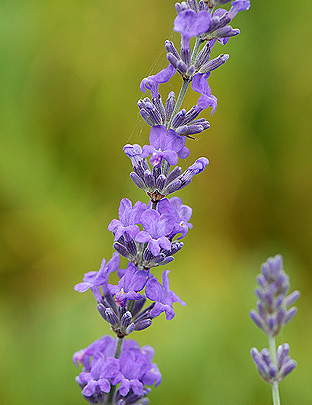 A very floriferous and neat lavender that make an exceptionally fine hedge. An early cultivar used in oil production. Next available late May. An absolutely astonishing little dark purple lavender that makes a smashing hedge. Grey-green foliage. Next available late May. 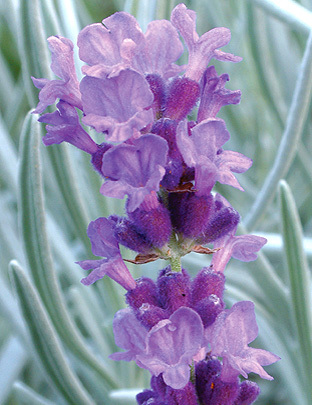 A small pure white lavender with green-grey foliage. Flowers June-July. Next available late June. 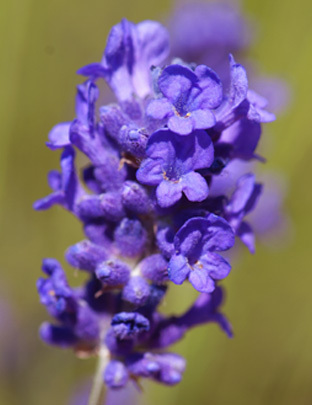 A vibrant blue-purple flowered lavender looking almost ultraviolet at dawn and dusk. Next available late May. 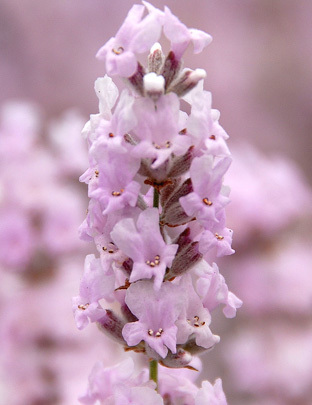 Brilliant green foliage in the spring makes this sweetly scented pale pink lavender distinctive. Available now. 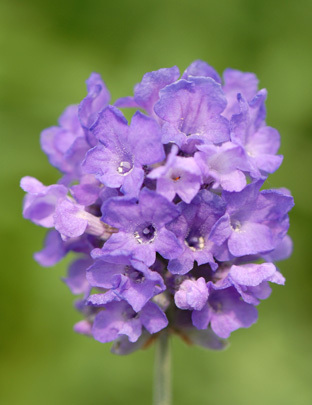 A gorgeous variety with long fragrant purple flowers. Tall for an angustiolia. Green-grey foliage. Next available late May..